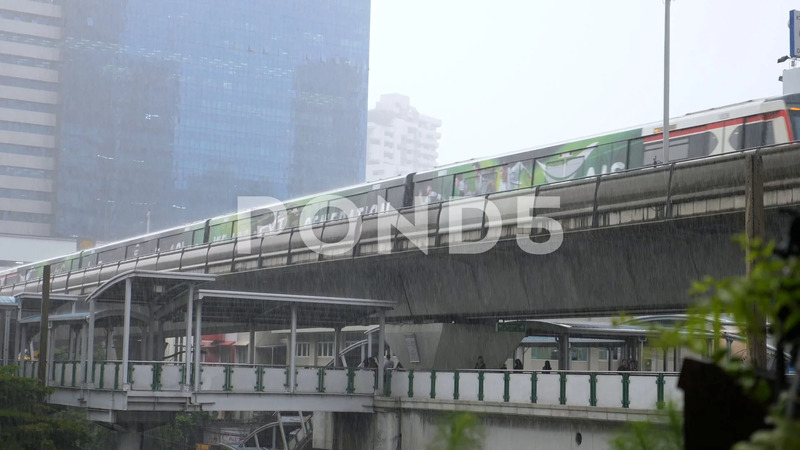 Train In Rain In City. Poor Weather Conditions. Climate Change. Description: Train In Rain In City. Poor Weather Conditions. Climate Change. HD.